One of the most important aspects of an Accommodation industry is hygiene. Your visitors can forgive the lack of view or even the breakfast that is not 100% up to their liking, but they will never forgive a stained glass or dirty linen. Keeping everything in check is challenging, so your best option is to use Alsco’s services. We provide you with glass and food wipes, crispy clean linen, spotless uniforms and many other items that make your business stand out. There is rarely anything just as important for an Accommodation business as perfectly clean linen. One mistake, one suspicious stain and your image is ruined. Alsco can provide you with all types of linen, which will be industrially washed, ironed and delivered to your doorstep. It is just the perfect thing for Accommodation businesses because this takes a lot of weight off your shoulders and leaves you enough time to plan your business and improve it. Classy and high-quality uniforms for your staff will do wonders for your accommodation business. Alsco’s rental uniforms can be customised to match your brand and they will definitely make your staff look even more professional and your business more reputable. Don’t worry about laundering these uniforms because you won’t have to deal with that. As a part of Alsco’s service, we pick them up, wash them and return them in no time. Comfortable and efficient floor mats can improve your accommodation business in many ways. Obviously, they can make your facility cleaner because they stop dust and dirt from entering. However, they can also help your brand promotion if you print your logo on them and place them in the entrance area. Also, if you have a huge facility with many corridors, you can use floor mats to discreetly and effectively help people find their way. Learn more about Alsco’s mats. 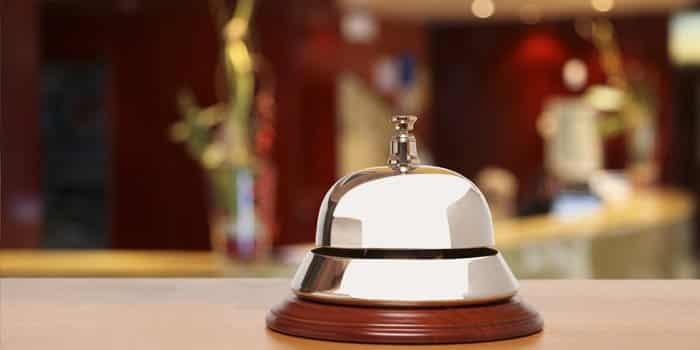 You cannot have a good accommodation business if you run out of consumables quickly. Regardless of the number of people that go through your facility, they always need to be in check. As a business owner, you have greater things to worry about so leave that worry to Alsco. We will make sure all the consumables are always replenished on time and in the correct quantities. With many people at one place, which is what always happens in all accommodations, accidents can sometimes happen. To be prepared for them and to eliminate the consequences as soon as possible, you need good First Aid system. You need to have an appropriate number of First Aid Kits and place them in critical places in your workplace so they are always handy and allow for the fastest possible reaction. Perfect hygiene is something without no Accommodation business can function. You need to make sure that all the hygiene systems are fully operational and ready for use. Do you have the time to deal with that? You don’t have to. Alsco will install our own hand drying and hand washing systems, feminine hygiene elements, odour control units, sanitisers and much more. You just need to order and allow us to maintain and manage them.